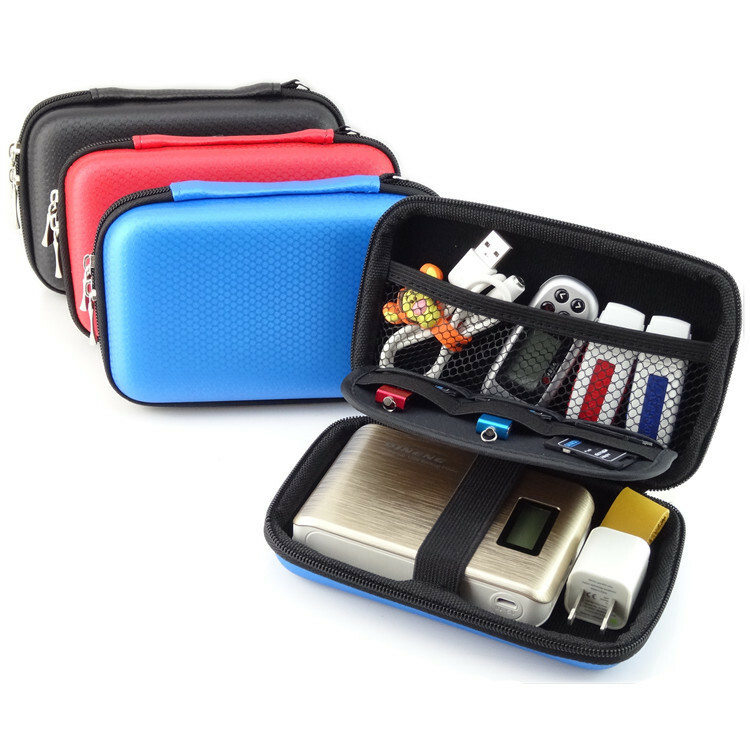 imoli’s hard carrying case for external hard drives, mp3 players, cameras, USB disk drive, SD cards, gaming devices and more is a strong and durable case that will keep your devices protected from dust, bumps and jostles. With an internal mesh pocket and secure straps, the case is perfect for your on-the-go lifestyle. 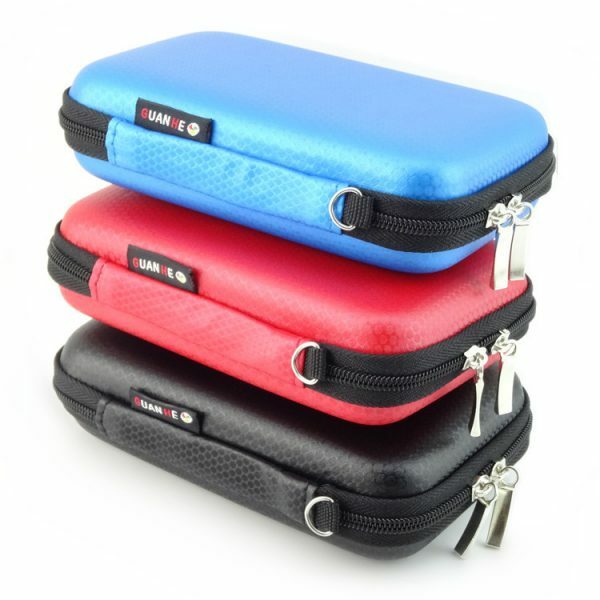 The soft interior fabric protects your device from scratches. An inner mesh pocket provides storage for power cables or other USB accessories. 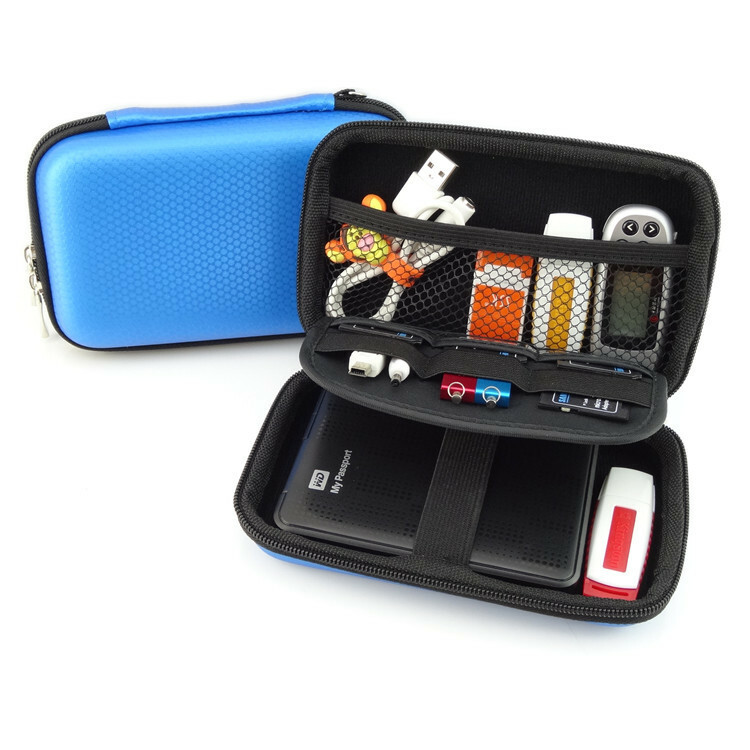 An extra layer with 3 small pockets for placing USB disk drive or SD cards. A strong strap holds your device in place to protect from accidental drops or jostles. All devices and items won’t mess up in the case. The compact design makes this case great for travel and easily fits in bags, backpacks or briefcases. 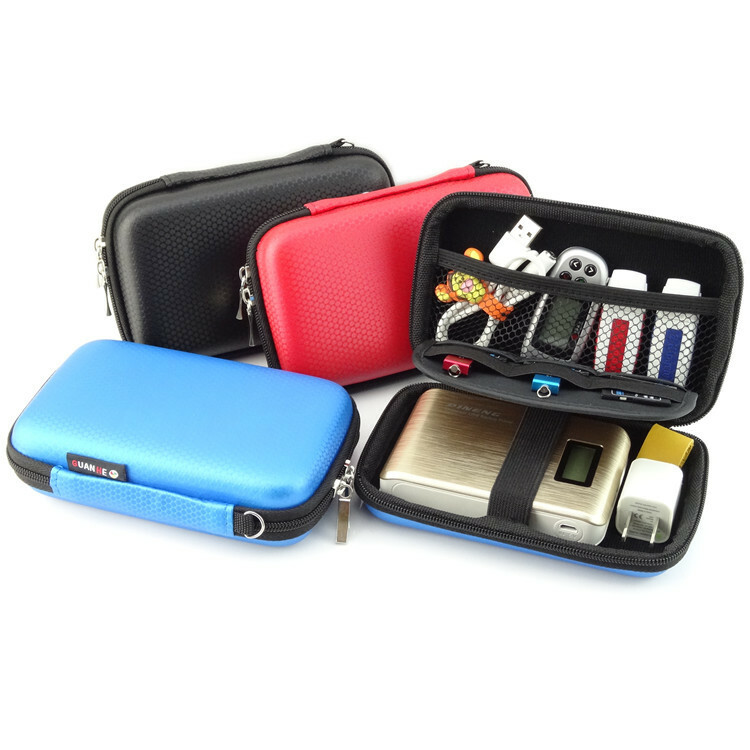 It comes with a wrist strap, more convenient to carry.